American Express is one of the most influential credit card issuers in the U.S., offering every type of card you could imagine. So boiling down which of their options deserve the most attention from you, the cardholder, is an exhaustive process, but these are our final selections! Right off the bat, new Blue Cash Everyday® Card from American Express cardholders can earn a $150 statement credit by making $1,000 in purchases over their first three months. But most of your earnings will come from the following rates: 3% cash back on up to $6,000 of purchases per year (then 1%) at U.S. supermarkets, 2% cash back at U.S. gas stations and select U.S. departments stores and 1% cash back on other purchases. The costs associated with this card are low. For starters there’s no annual fee. Additionally there’s a 0% introductory APR on purchases and balance transfers for 15 months. After, a variable APR of 15.24% - 26.24% will apply. Amex’s ShopRunner program allows members to get free two-day shipping on their online shopping with thousands of brands at over 140+ stores. You’ll also be able to bypass the typical $79 annual membership fee associated with the program, though some terms may apply. The 3% cash back rate given for U.S. supermarket purchases is capped at $6,000 spent each year, limiting your ultimate rewards potential. Once you’ve reached that limit, you’ll earn 1% back. 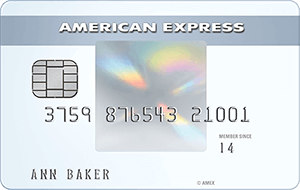 The Blue Cash Everyday® Card from American Express is a great balance between low cardholder costs and rewards possibilities. You could even end up not paying anything extra for your first 15 months, if used responsibly. 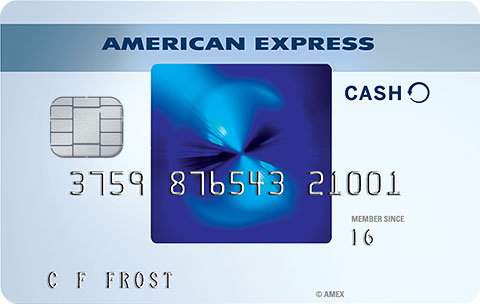 Few, if any, credit cards can match the pure cash back earnings of the Blue Cash Preferred® Card from American Express. You’ll get 6% cash back on up to $6,000 in purchases per year at U.S. supermarkets (then 1%), 3% cash back at U.S. gas stations and specific U.S. department stores, and 1% cash back on other spending. You’ll also receive a $200 statement credit to help you pay off your next monthly bill when you spend $1,000 or more over your initial three months with an account. Plus, you’ll receive free access to the ShopRunner program which typically costs $79 per year and offers free two-day shipping, with more than 1,000 brands and 140+ stores to order from. Purchases and balance transfers are subject to a 0% introductory APR for 12 months. After, a variable APR of 15.24% - 26.24% will apply. This card has a $95 annual fee, which puts a small damper on the cash back you’ll earn. Additionally, as great as 6% cash back at U.S. supermarkets sounds, it’s capped at $6,000 spent annually. After that you’ll earn 1% back. You’re going to have to pay up to get the Blue Cash Preferred® Card from American Express in your wallet. But if you spend enough, it’s well worth the cost. 3% cash back at U.S. gas stations, 1% cash back on other purchases. Frequent travelers should consider the Platinum Card® from American Express. Any flights booked directly with airlines or American Express Travel and any hotel stays reserved through amextravel.com at eligible hotel brands garner 5x points. You’ll earn 1x points on other eligible purchases. By spending at least $5,000 in the first three months you have an account, you can earn 60,000 bonus points. Furthermore you’ll receive up to a $200 credit annually that you can use to help cover any fees induced by airlines. Please note, you must select one qualifying airline and use your Platinum Card® to charge the incidental fees. Interest charges are completely absent from this card’s rates and fees -- a fact that may come as a surprise. Any international spending won’t accrue foreign transaction charges, either. Although you won’t get charged interest on any balances you build up as a cardholder, you will be required to pay off those totals at the end of each billing cycle. 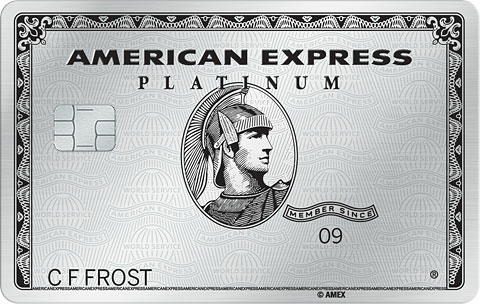 Most importantly there is a hefty $550 annual fee for The Platinum Card® from American Express. If you’ve got the spending power and you’re frequently on the move, this card has the opportunity to earn some excellent rewards, making it worth its $550 annual fee for those that qualify. Zero interest has hardly ever found a better home than with The Amex EveryDay® Credit Card from American Express. For your first 15 months with an account, a 0% introductory APR is applied to all purchases and on any balance transfers completed within 60 days of your account’s opening. After the first 15 months, an APR of 15.24% - 26.24% variable will apply. There’s no annual fee and no balance transfer fee if transfer is requested within first 60 days, further lowering your cardholder costs. A rewards program accompanies this card too, with a 10,000-point Membership Rewards® bonus available to anyone who spends $1,000 or more during their first three months with the card. Purchases made at U.S. supermarkets earn 2 points per dollar spent (terms apply), along with 1 point per dollar on other transactions. Finally, a rather unique perk: Cardholders who use their Amex EveryDay® Credit Card 20 or more times over the course of any month will get a 20% boost to their rewards earned over that period. As great as 2x points at U.S. supermarkets sounds, it isn’t an unlimited rewards benefit. Once you’ve spent $6,000 in that category over the course of a calendar year, that rate will fall to a base of 1x points. Making a late or returned payment as a cardholder could have dire consequences. If this were to happen, a 29.99% variable penalty APR might apply to your account’s balances. The low costs and decent rewards program that you’d receive as an Amex EveryDay® Credit cardholder could help create the stability that just about anyone is looking for in their financial life. In other words, apply for this card confident you’re making a good decision. 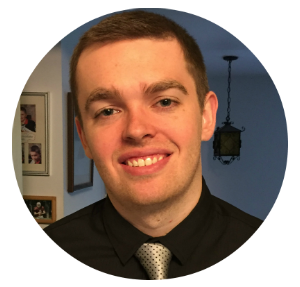 SmartAsset has developed a quantitative and independent system for evaluating the relative value of a credit card offer versus other offers in the marketplace. Our system evaluates cards based exclusively on their features, such as their rewards earning rate (if applicable), fees, perks, and rewards program redemption options. The annual rewards values on this page are calculated using annual spending assumptions in various categories such as, but not limited to, gas, restaurants, airfare, and US supermarkets. These spending assumptions are built on research that SmartAsset has conducted on existing cash back credit cardholders. Our promise with our credit card recommendations is that we will always strive to have the most comprehensive, accurate, and objective method of evaluating credit card offers. Any recommendations are solely determined by the result of this research and model, and is never influenced by any fees, commissions, or other forms of compensation that SmartAsset may receive from credit card issuers for leads generated on our website. Editorial Note: This content is not provided by the credit card issuer. Any opinions, analyses, reviews or recommendations expressed in this article are those of the author's alone, and have not been reviewed, approved or otherwise endorsed by the issuer.